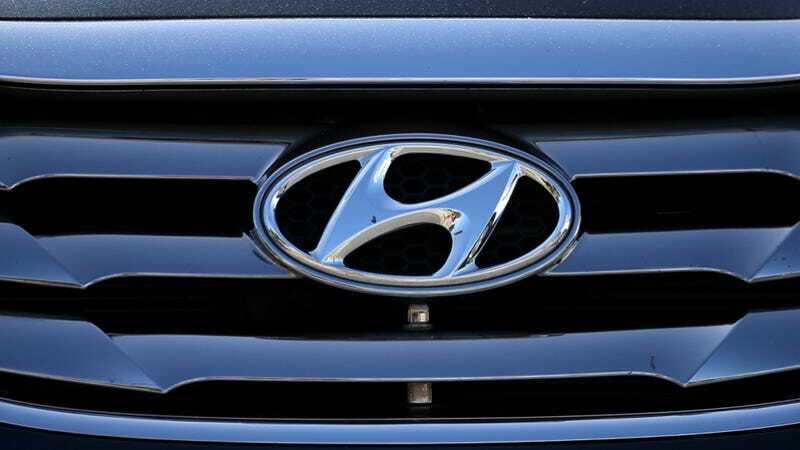 Hyundai and Kia just agreed to settle a case with the US government for overstating the gas mileage claims on about 900,000 of its cars a few years back. The final toll comes to approximately $745 million, including a $100 million fine, and $250 million in other penalties. The settlement with the Environmental Protection Agency is a result of Hyundai and Kia, the latter of which is 33.88% owned by the former, overstating the gas mileage of their cars by as much as six miles per gallon, as Bloomberg notes. Many were bumped up just enough to make the coveted 40 MPG mark. The breakdown of the settlement comes to a $100,000,000 fine, $200,000,000 in forfeited greenhouse-gas emissions credits, and $50,000,000 for future independent emissions tests to certify future claims, as apparently the Feds don't really trust Hyundai and Kia to rate their own cars anymore. And all that comes on top of $395,000,000 Hyundai and Kia set aside to cover the costs of lawsuits aimed at the companies over the false claims. Which brings the total up to approximately $745,000,000. In short, don't mess with the EPA and American consumers. It can cost you a lot of money.